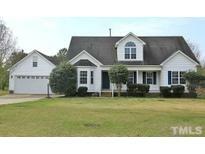 Below you can view all the homes for sale in the Pleasant Woods subdivision located in Garner North Carolina. Listings in Pleasant Woods are updated daily from data we receive from the Raleigh multiple listing service. To learn more about any of these homes or to receive custom notifications when a new property is listed for sale in Pleasant Woods, give us a call at 919-759-5792. Upgraded features include fresh interior paint and new carpet in select rooms. MLS#2247321. 4823. Beautifully landscaped with plentiful fruit trees! MLS#2246883. 4883. 3 Bedrooms on the First Floor and 2 on the Second (Septic approved for 4), Large Living Room Downstairs and Additional Family Room Upstairs Plus Room for a Private Office, Full Bath Upstairs/ .74 Acre Level Lot w/ Extra Wide Driveway/ Plenty of Room for Gardening and/or a Swimming Pool MLS#2246595. 988. Huge fenced yard with 12 x 12 work shed. No City Taxes! 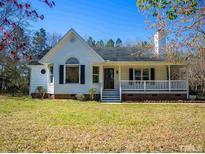 MLS#2242700. 297. All appliances - refrigerator, washer/dryer, garage refrigerator convey. Garage cabinets will convey. MLS#2241660. 3493. 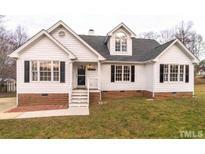 Located minutes from I40 Located in the Cleveland School Dist. w/ No City Taxes MLS#2240265. 4239. Upgraded features include fresh interior paint throughout. MLS#2238380. 4823.